When it comes to Halloween, we’re all guilty of resigning pumpkins to lantern duty! 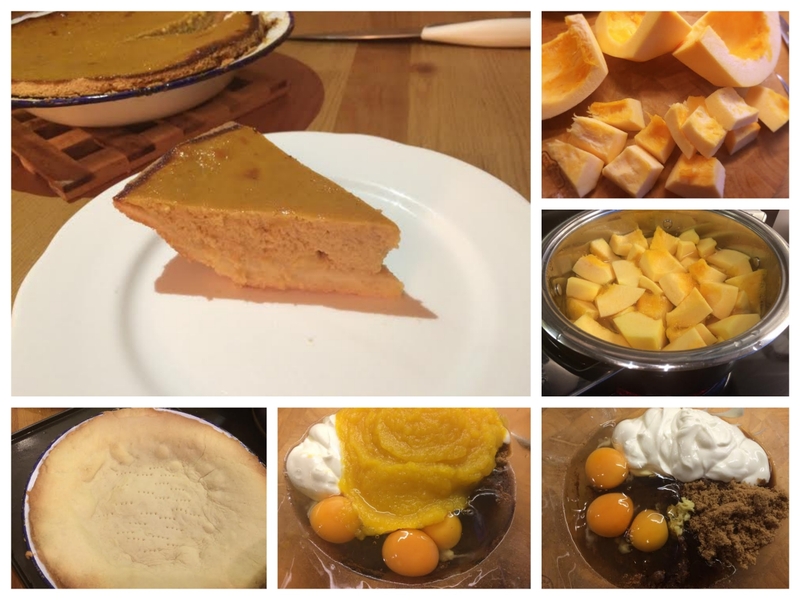 But a pumpkin is a great vegetable that lends itself favourably to both sweet and savoury dishes. 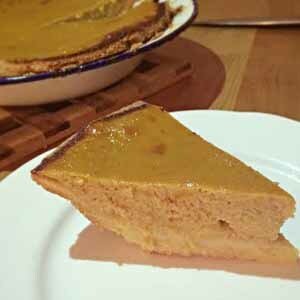 Although typically an American dish, pumpkin pie is a delicious dessert that is perfect for the winter season. It is extremely easy to make and is packed with flavourful spices. 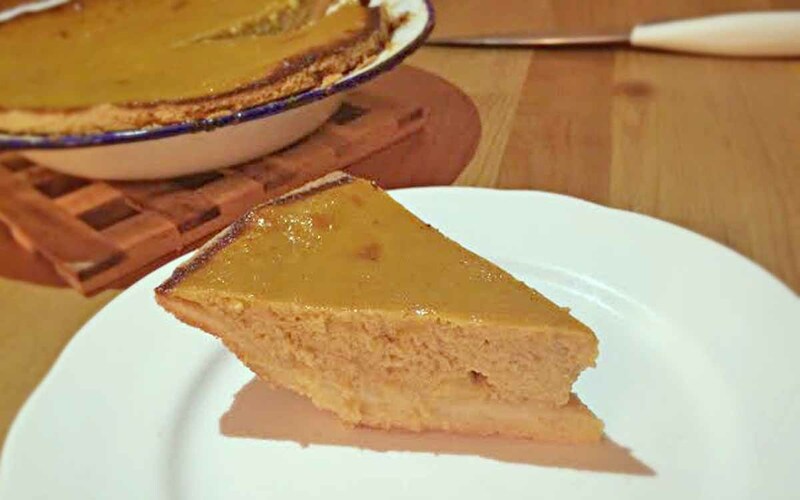 The smell of a pumpkin pie baking in the kitchen is incredible, filling your house with the fragrances of mixed spice, ginger and cinnamon, making it a popular dish for the Christmas season as well. Before making this pie we weren’t too sure what texture to expect or whether there would be an unsettling vegetable undertone, but we were pleasantly surprised and more than happy with the outcome. The filling is quite similar to that of a flan or baked custard, and the beautiful blend of spices help provide a fantastic festive flavour, well worth a go this time of year and a guaranteed crowd pleaser. You can choose to make a pre-made pastry case if you prefer but to make the pastry case, begin by pre-heating the oven to 190C. In a food processor add the butter, flour and sugar and whizz until crumb like. Add the egg and a drop of milk if necessary and mix to form a soft dough. Put the pastry in the fridge for 30mins to firm up. You will have to work quickly with the pastry to stop it becoming too delicate at room temperature. Remove from fridge and roll out the pastry and line a pie dish. Prick the base all over and cover the dish with some baking parchment and bake for 10mins. Add the pumpkin chunks to a large pan of boiling water and cook for 5-10mins until tender. Once cooked, drain the excess water and blend the pumpkin pieces into a puree. Set aside to cool. In a bowl add the eggs, sugar, ginger, mixed spice, cinnamon and Greek yoghurt and mix together with the cooled pumpkin puree. Take the pastry case out of the oven and pour the filling into the case. Return the pie to the oven and cook for 45mins at 190C until set. Remove from the oven and allow to cool for a few minutes before serving. Add a scoop of ice-cream or a dollop of fresh cream and enjoy. Don’t throw out the seeds from the pumpkin. Simply rinse them, put them on a baking tray, drizzle with oil and season with cajun spice, salt and pepper. Roast for 30-40mins at 180C and enjoy a delicious, healthy and savoury snack. Will you be experimenting in the kitchen with pumpkins this Halloween? Forget about the carving, let us know what you will be planning on cooking with your pumpkins. Share your favourite pumpkin dishes with us below or by connecting with us on Facebook, Twitter or Instagram.